Do you know what i love about Malaysia? Yes, MALAYSIAN FOOD! Malaysian food is amazing. No matter where i travel to, Malaysian food is what i miss the most…all the time. 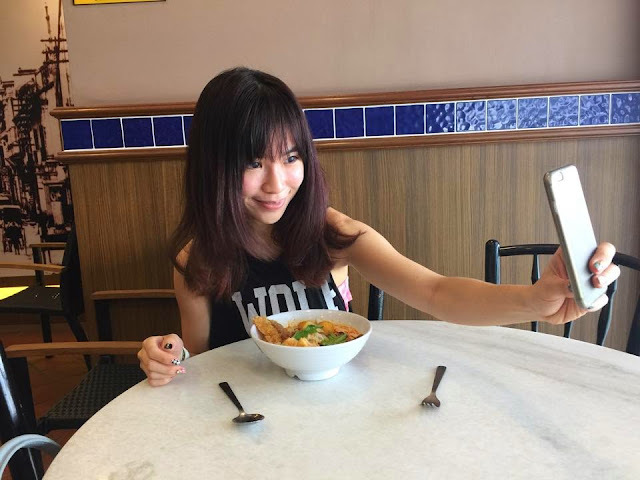 Malaysian food is good by its own because of different culture. We have Malay food, Chinese Food, Indian Food etc..so many choices. It's really hard to control myself not to eat them sometimes. Hahaha. But who cares, EAT first, WORK HARDER later. That's what i always tell myself. 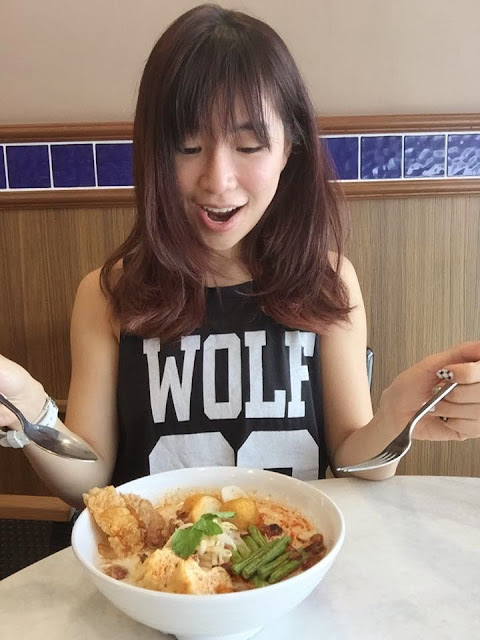 If you asked me what's my favorite food, i would say LAKSA. I really really love spicy food, especially with hot soup. That's why i came for THIS! Well. 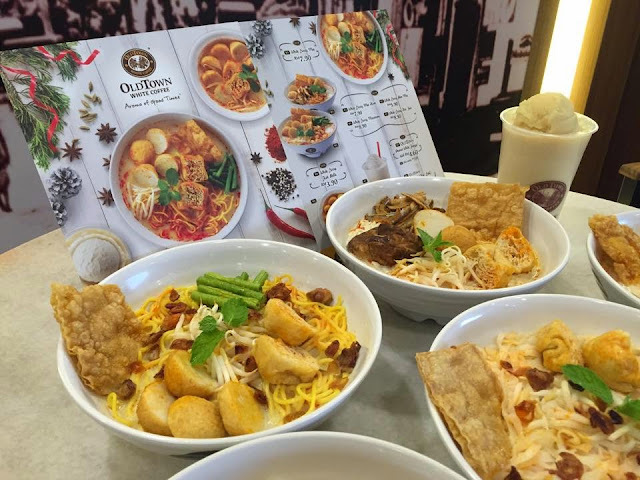 i believe that OLDTOWN White Coffee is no stranger to most people, and I'm sure you've gone there to dine a few times already. Because it's the first thing that came to my mind whenever i feel like eating local food. To add on, it's more convenient for me to dine in because they have 200 outlets around Malaysia. I can find it everywhere, anywhere in Malaysia. Alright, let’s get back to the topic. 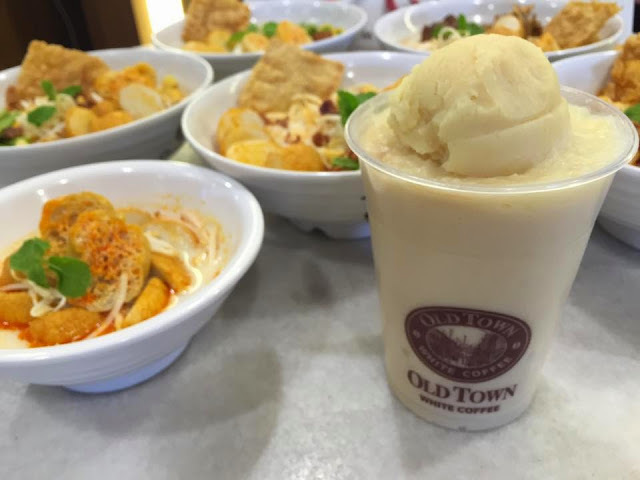 Let me introduce the STAR of the day - OLDTOWN White Curry Series. Just had to try their newly launched White Curry Series so I brought my friends along the other day. Have anyone of you try out the famous MyKuali Penang White Curry instant noodles before? 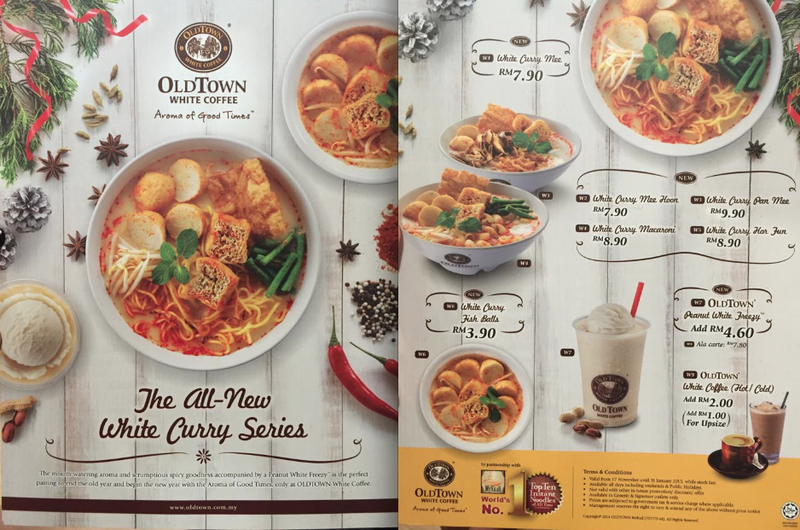 The OLDTOWN White Curry Series is a combination of the MyKuali Penang White Curry! 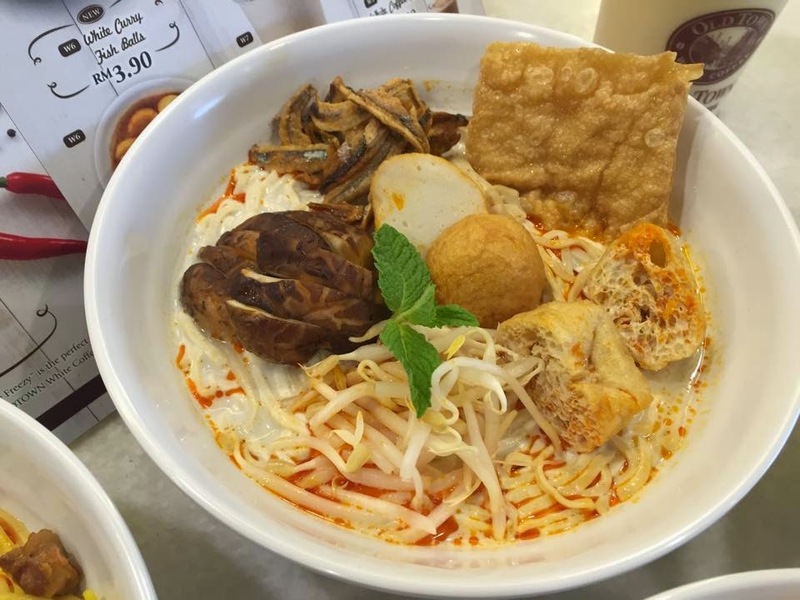 The White Curry Series features a range of five White Curry noodle variants starting from RM 7.90 for a bowl of White Curry Mee. 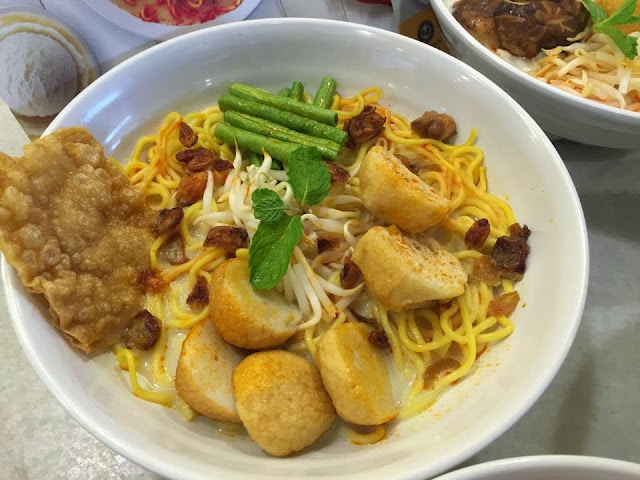 You can choose from a variety of noodle combinations from Mee, Meehoon, Macaroni, Pan Mee, and Hor Fun. 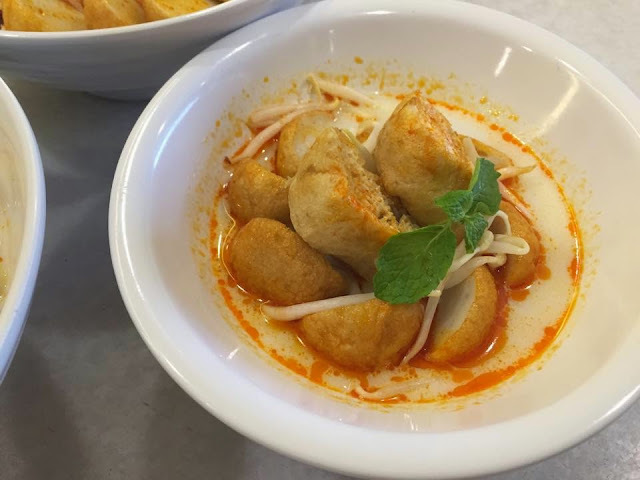 There is also a featured Side Dish of White Curry Fish Balls (From RM 3.90) for those who prefer a lighter meal or as a meal accompaniment. Are you ready for Foodporn time! 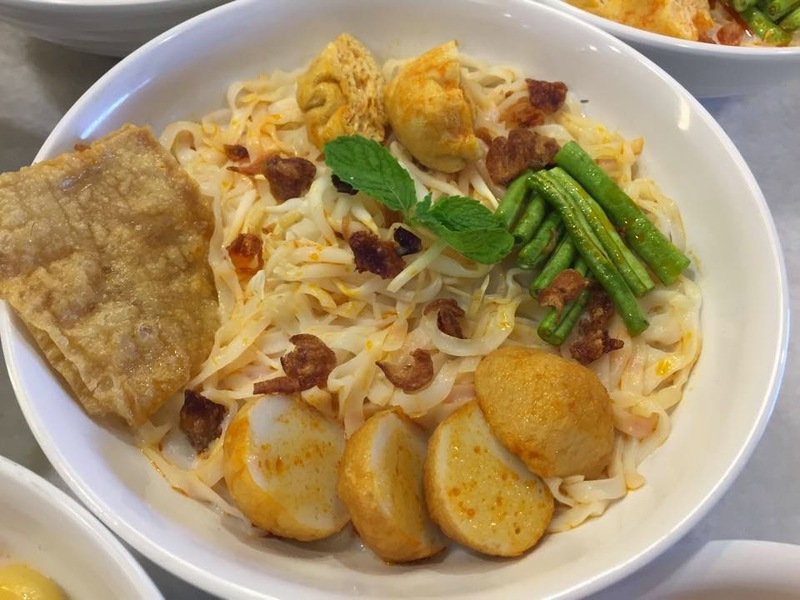 Among all, The Pan Mee White Curry Noodles is my favorite! It tastes so good, the noodles bring out the white curry tastes very well. I tried the Macaroni White Curry too, chewy and cute to eat. It's my first time eating macaroni in a white curry soup. try it out! The white curry soup base is very rich in curry curry flavor with right level of spiciness. 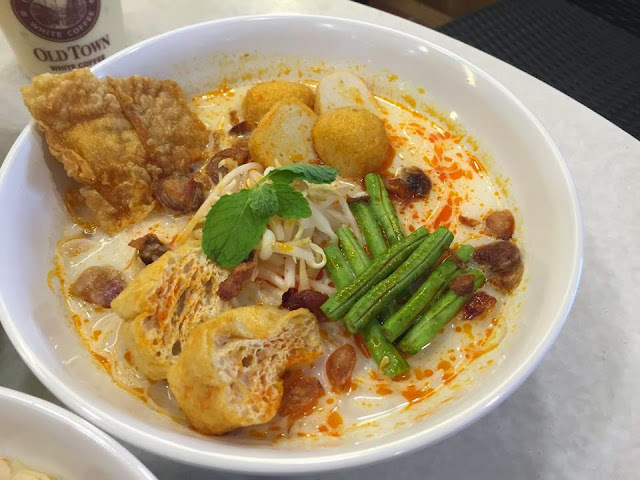 It's unlike the normal curry laksa because white curry is more creamy and slightly spicier than the normal curry. I prefer the white curry more! If you're too full to have a bowl of white curry noodles, try this White Curry Fish Balls! It's the same white curry soup base but without the noodles at only RM3.90. To cool down the hot and spicy selection, there is a new drink made available just for the White Curry Series in the form of Peanut White Freezy™. This soya based peanut drink topped off with a scoop of vanilla ice-cream is cooling and creamy, topped off with a scoop of vanilla ice cream making it perfect ending to a bowl of White Curry noodles available as an Add-On for only RM 4.60 (Ala Carte: RM 7.80). It's really cooling and rich in peanut. Here's the all new white curry series menu! Don’t forget to share this with your friends and family too. These offers are only valid until 31st January 2015 or while stocks last. omg!!! so this is the noodle being advertised in TV lately? looks good! Wow, really good?? tak pernah try lg..
What? White curry? MUST TRY! suka sgt lepak old town! 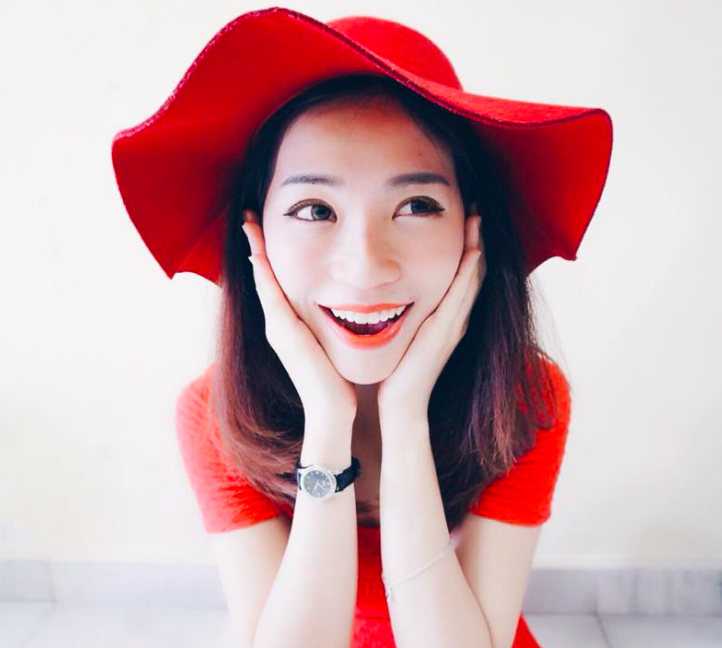 aaaaaaaaaaaaaaaaaaaaaaaaaa drop dead gorgeous lah u karen hehe.